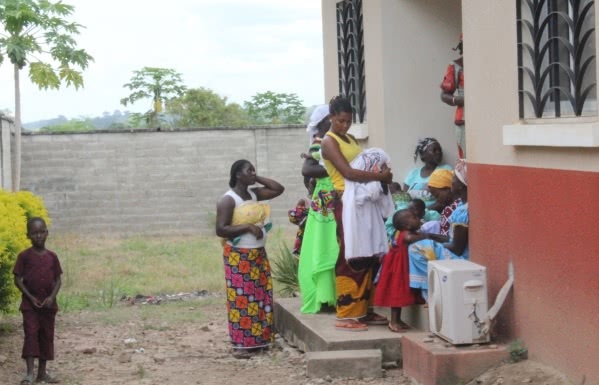 Walé Medical-Social Center, an outpatient clinic in Ivory Coast, is helping meet some serious health care challenges in the surrounding districts. An interview with its founder. “Travel with Purpose” is a week-long self-funded annual trip to an African country by Harambee Africa International supporters and members. In May 2018, 13 men and women from the US, Spain, Italy and Switzerland visited several elementary schools, vocational centers and health clinics in Ivory Coast that have benefited from Harambee’s grants. They were able to see first hand the impact of Harambee donors’ support. 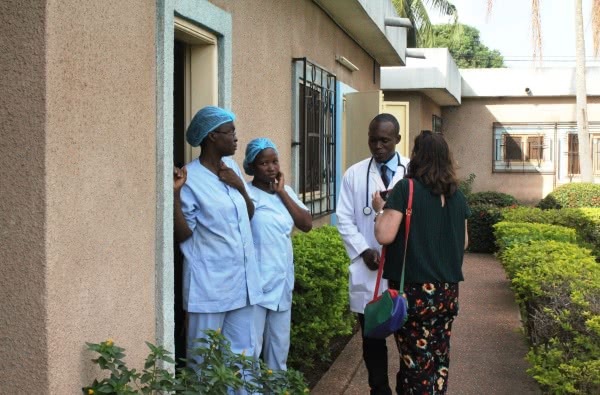 Walé Medical-Social Center, an outpatient clinic in Ivory Coast, is a powerful example of what one person can do with the grace of God and the generosity of people who may live continents away. Walé serves the needs of Yamoussoukro and Tomboukro, two communities centrally located in Ivory Coast. The clinic delivers a wide range of general practice services as well as medical imaging, HIV/AIDs treatment, vaccine administration, obstetrics, pediatric care and follow-up services to patients with chronic diseases. The group met with the head of the center, Manuel Lago, and interviewed him for this article. Thank you for accommodating our visit. I detect the trace of a Spanish accent. How did you end up in Ivory Coast? I was born in Vigo, a relatively small city but an important fishing port in northwest Spain. I studied naval engineering in Madrid and then went to Bilbao to work in the shipbuilding industry there. 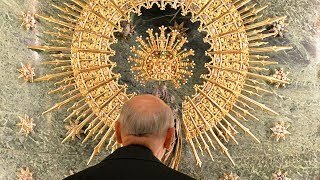 In 1980, the head of Opus Dei at that time, Bishop Alvaro del Portillo, asked me if I would be willing to go to Ivory Coast to start the apostolic work of Opus Dei there. I was delighted and accepted the offer. The first steps must have been difficult! When I arrived here, I could see that it was a great country with very kind people, but with many problems due to poverty and a lack of formation. Young people were disoriented and confused about their traditional values as they faced changes in society and the challenges of the modern world. I worked as a professor of Fluid Mechanics and Hydraulic Machines in an engineering school. That gave me the chance to partner with other Ivorians and Europeans to promote various initiatives in scientific, cultural, human and spiritual Christian formation. Tell me about the journey from there to starting a medical clinic. It was obvious right from the start that urgent problems were related to health. It was tragic to see the number of people who die due to lack of medical assistance. What especially caught my attention was the prevalence of malaria. Malaria is a disease that can be cured in three or four days with a treatment that costs about $5. And yet, it is the leading cause of mortality in Africa, far ahead of HIV AIDS, with 1.5 million deaths per year. After that, the insufficiency of proper care for prenatal services and the woeful conditions for deliveries and neonatal care struck me as something of paramount importance. How do you even begin to jumpstart a medical clinic? The idea for the clinic came after laying the groundwork in Abidjan, the capital of Ivory Coast. With the help of some friends, we organized health care campaigns for people in need in the poor neighborhoods of Abidjan and in the surrounding villages. Medical students dedicated their time during school holidays to those campaigns. It was a drop of water to put out a fire. But in my view, in addition to helping a few hundred patients each year, we were awakening their conscience and building solidarity among these medical students who will become future doctors. In 2002, I retired from my teaching job. After 20 years of health campaigns, we had established a relationship with the medical students. This aspect of the infrastructure, in my view, is fundamental. If social projects are not well rooted in the country, if they depend solely on the initiative and effort of foreigners, the sustainability is subject to risks and the foundation could be shaky. But because we worked with Ivorian health professional volunteers and medical students, the program was instituted by local people. With other friends, we created the Association Ivoirienne pour la Formation Universitaire et Professionnelle (AIFUP). We decided to launch a primary health center in Yamoussoukro, and in 2004 the Walé Medical-Social Center was born. One of those young doctors who we had met as a student had the generosity to choose to work with us and curb his ambition for monetary gains. A retired nurse came to provide her medical and human experience, her sympathy and great heart. Fourteen years later, she continues to collaborate with us, especially in the rural development projects in Walé’s branch in Tomboukro. Tell us more about your expansion to Tomboukro. Tomboukro is a village located about 35 km from Yamousoukro. Walé created a branch there in 2012 so that we could provide health care to the population of several villages in the area. We also organize literacy projects, classes in hygiene and nutrition, and training in activities that generate income, such as agriculture, to help the women in the villages. Has Walé grown over the years? Absolutely! In 2004, Walé was a ground floor house of about 300m2 on a 1000m2 lot, with one doctor, a nurse and a European dedicated to finding funds to launch the project. The first structure, along with minimal furnishings and equipment, was funded by the autonomous government of La Rioja, a region in Spain. An NGO from the same region, COOPERA, gave us a helping hand. 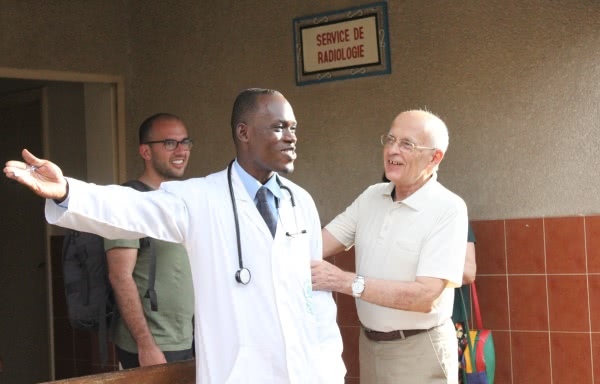 Fourteen years later, Walé has about 40 permanent employees, performs on average 30,000 consultations and 50,000 medical examinations per year, has an X-ray and ultrasound service, and is a reference center in the care of patients living with HIV/AIDS. What is Walé’s reputation in the community? Everyone in Yamoussoukro knows about Walé’s high standard of service, accompanied by human warmth. The people appreciate the low cost and that when someone cannot pay, we don’t close the door. No one is turned away. Our experience in that sense is very positive. Often, when applying for grants from Western countries, we are required to obtain the recommendation of local ethnic groups: the Baoulés, the Dioulás, the Mossís, etc. Their answer is always resoundingly enthusiastic. Let me share a story with you that reflects Walé’s reputation in the community. One day a young man was brought to the center by a taxi. The taxi driver told us that the boy was found on the ground and some good Samaritans passing by put him in a taxi and instructed the driver to take him to Walé. They paid for the transportation. The boy had a peritonitis that needed an emergency operation. Since we do not have an operating room, we took him to another clinic to be operated on. In short, the good Samaritans knew Walé would take responsibility for getting the boy the treatment he needed. The boy recovered from the illness. I recently learned that he is in the seminary and that he will be ordained a priest shortly. How has Harambee helped Walé over the years? Harambee has helped us several times, especially in projects related to health, nutrition and hygiene. Your grants have underwritten training and awareness of mothers on these issues, hygiene and nutrition classes, and delivery of nutritional supplements for children suffering from malnutrition when the family can not pay for them. The issue is especially important in the case of mothers living with HIV AIDS. When a pregnant woman is diagnosed as seropositive, she is put on treatment, and in 100% of cases we deliver a healthy baby. But later, breast milk would present risks, especially after the first six months. When the family does not have the money to buy milk and the necessary supplements (cereals etc. ), Walé, with the help of Harambee, would provide it for them. 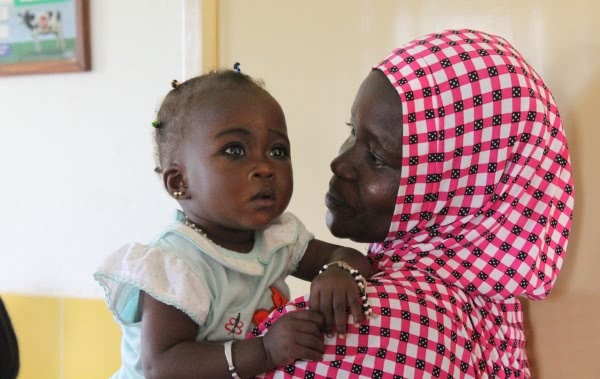 Currently, we have about 90 infants under the age of 18 months who are receiving supplements from us. How have you incorporated the spirit of Opus Dei at Walé? The spirit of Opus Dei is putting love of God and love for others into ordinary life, which is what we do everyday. Certainly, the desire to love and serve God and others, especially those who are in need, was a primary deciding factor in establishing Walé. Then, doing things as well as possible. We remember what Saint Josemaría, the founder of Opus Dei, taught us: to see Christ in every sick person. When Bishop Javier Echevarría visited us in 2011, he reminded us of that teaching, and urged us to be “present” for others. Because most of our patients are very poor, they delay coming to the doctor until they are seriously ill, so this advice is relevant. The fact that most patients are Muslims or animists does not change anything. All the staff at Walé are genuinely interested in treating each person. They never lose site of the fact that this is a child of God. Donations to Walé may be sent via credit card or Paypal through Harambee USA Foundation. Harambeeusa.org/how-to-help/donate and put “Walé” in the memo field.